Loctite EA 3423 structural bonding – 2K Epoxy, multiple purpose, excellent for metal, good humidity resistance. 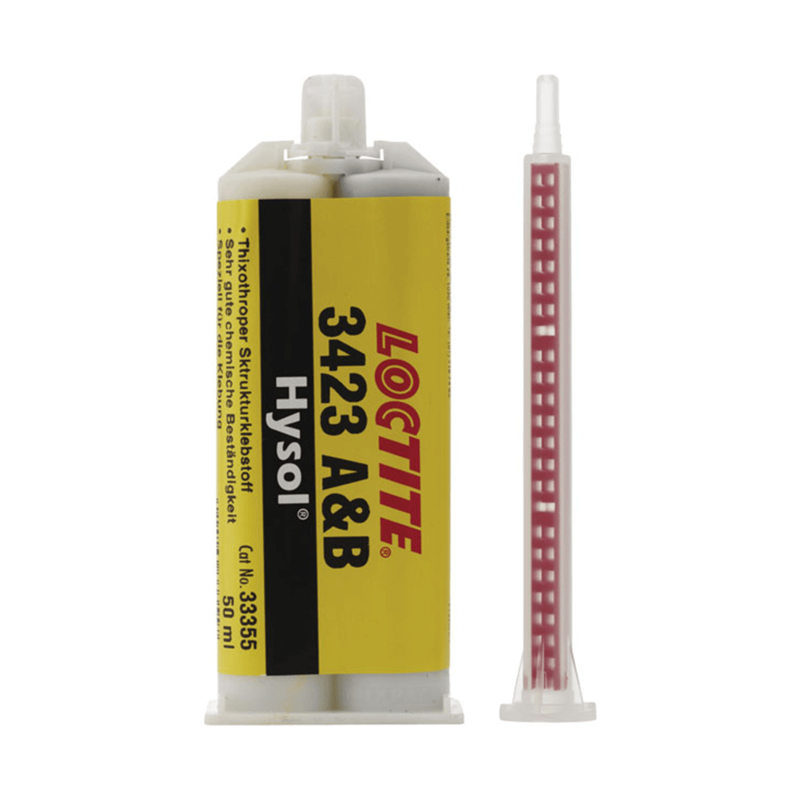 Loctite EA 3423 is a two component, high viscosity, thixotropic epoxy adhesive which cures at room temperature after mixing. It is a general purpose, non sag adhesive which develops high strength on a wide range of substrates. The thixotropic properties enable this adhesive system to bond rough vertical surfaces made from metal, ceramic, rigid plastics or wood through gaps of up to 3 mm. When cured, the adhesive can be sanded to a smooth finish. Cured for 7 days @ 22°C, tested at 22°C.